BoxId: 503871 – MICROS Systems, Inc. to Acquire Torex Retail Holdings Ltd.
MICROS Systems, Inc. announces it has entered into an agreement to acquire Torex Retail Holdings Limited, a leading provider of innovative technology to the retail, hospitality and convenience and fuel markets. Torex's position in the UK and Europe will support MICROS's strategy of international expansion in the retail market. MICROS Systems, Inc. provides enterprise applications for the hospitality and retail industries worldwide MICROS systems are currently installed in table and quick service restaurants, hotels, motels, casinos, leisure and entertainment, and retail operations in more than 180 countries, and on all seven continents. Torex has operations in the UK, Germany, Belgium, Netherlands, the Nordics, and the US. Torex provides outlet and head office technology, through a mix of software, hardware, consultancy, implementation and maintenance and services. Torex's technology portfolio ranges from Point-of-Sale to solutions which address merchandise planning, business analytics, loss prevention and multi-channel trading, as well as more consumer-facing solutions for e-commerce, vouchering, loyalty programmes and integration with social media networks. The deal is consistent with MICROS's long-term strategy to grow its retail presence in Europe, building upon the strong position of MICROS -Retail in North America. As well as bringing valuable customers, technology and employee expertise, MICROS will use Torex's presence in the convenience and fuel market in Europe as a foothold for further expansion. Torex's experienced retail division and the retail sales force in the UK and Europe will help MICROS increase its presence and sales growth potential outside North America. In addition to the continued investment in market leading technology, customers will benefit from the extended product and professional service portfolio of the combined group. The completion of the acquisition is dependent on approval from a number of governmental regulatory bodies in Germany and Norway. "This is very exciting news for our industry and particularly for MICROS and Torex customers," stated Kaweh Niroomand, President, MICROS-Fidelio, EAME (Europe, Africa, and Middle East) at MICROS Systems Inc. "More so than ever, technology innovation and efficiency are fundamental to business success and this acquisition will allow us to deliver a broader range of products and services to new and existing customers." "This is a great deal for both companies, and reflects the transformation which has taken place at Torex as a result of our employees' hard work and commitment over the last few years," stated Steve Rowley, Chief Executive Officer, Torex. "Together, we are positioned to provide our customers with a large portfolio of innovative technology which supports our customers' business needs." Torex is a European market leader for store systems in Retail, Hospitality, Convenience and Fuel markets. Our customers choose Torex to make the most out of their business, by gaining access to our deep market experience, innovative technology and global reach. 1,150 Torex people help over 3,000 businesses serve their customers every year, in over 30 countries. Over the last year we have supported the launch of the PizzaExpress' ground-breaking voucher scheme and PayPal app, helped Mothercare to manage its franchise stock with Merchandise Planning and showed independent convenience retailers how to reap up to 2% improvement in margin. Our client list includes market leaders such as B&Q, River Island, Lloydspharmacy, PizzaExpress, Costa Coffee, The Co-operative, Martin McColl, MRH, Londis, Hema and Deichmann. We provide outlet and head office technology to our core markets globally, through a mix of software, hardware, consultancy, implementation and maintenance and services. Our technology ranges from Point-of-Sale to solutions which help our customers deal with merchandise planning, business analytics, loss prevention and multi-channel trading. We also provide consumer-facing solutions for e-commerce, vouchering, loyalty programmes and integration with social media networks. MICROS Systems, Inc. provides enterprise applications for the hospitality and retail industries worldwide. 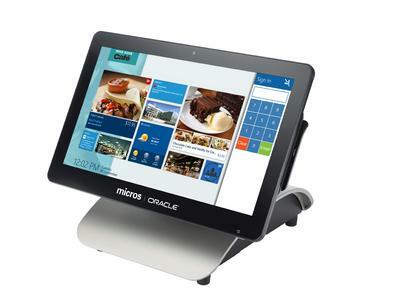 Over 330,000 MICROS systems are currently installed in table and quick service restaurants, hotels, motels, casinos, leisure and entertainment, and retail operations in more than 180 countries, and on all seven continents. In addition, MICROS provides property management systems, central reservation and customer information solutions under the brand MICROS-Fidelio for more than 26,000 hotels worldwide, as well as point-of-sale, loss prevention, and cross-channel functionality through its MICROS-Retail division for more than 100,000 retail stores worldwide. MICROS stock is traded through NASDAQ under the symbol MCRS.